Next, select the Unsubscribe Form from the Resources Drop Down. After you have selected the Unsubscribe Form you can make changes to the behaviour or design of your form through the Resource Settings section or the Design Settings section. 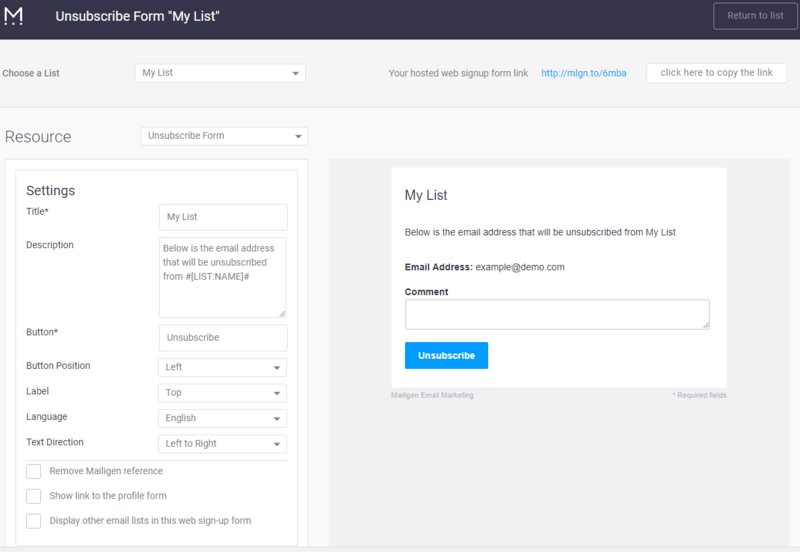 The design of the Unsubscribe Form form will be exactly the same as the Sign up Form (which is the master form) until you make and save any specific changes.